Mercedes boss Toto Wolff has played down the team's dominant win in Abu Dhabi as plans for the 2018 season continued at the Yas Marina circuit. Valtteri Bottas and Lewis Hamilton were well clear of the rest of the field on Sunday, with the former finishing 19 seconds clear of Sebastian Vettel in third and 45 seconds ahead of Kimi Raikkonen in fourth. 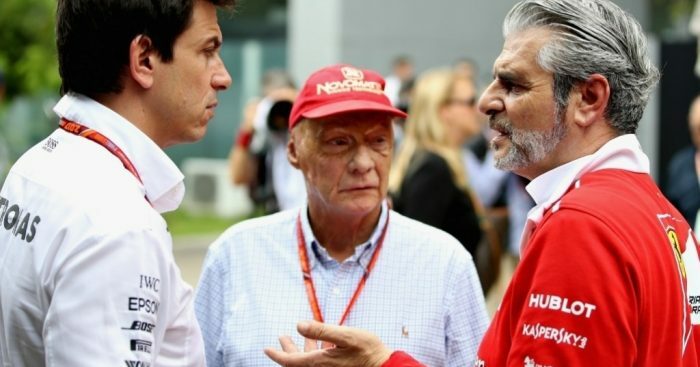 The result seemed to suggest that it is looking rather ominous for the 2018 season, but Wolff won't be reading too much into the result. “I'm obviously very pleased with the Abu Dhabi result, but you have to be very careful in interpreting the pace here,” Wolff said. “This has been the start of the 2018 season, and I am not sure we have seen everything on the cars that will be on the cars next year. “I just don't feel like we should be tapping ourselves on the shoulder, about how great we were in the last races. “I would rather stay sceptical and diligent in leaving no stone unturned, and optimising the deficits of the car.